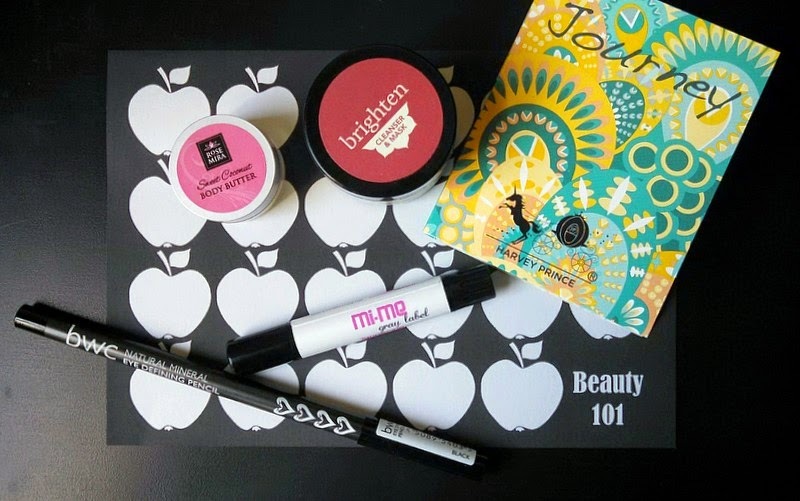 So, you’ve seen me sing the praises of Petit Vour, as a company and for their beauty boxes. It’s definitely fun to get a box of surprises in the mail every month. I admit though that I was a bit worried about what the August box would look like since the July box had my favorite everything in it. Had the bar been set too high? Of course it hadn’t. I loved this box (almost) as much as the last. Once again, I felt that there was a great range of products featured, and the value was high. 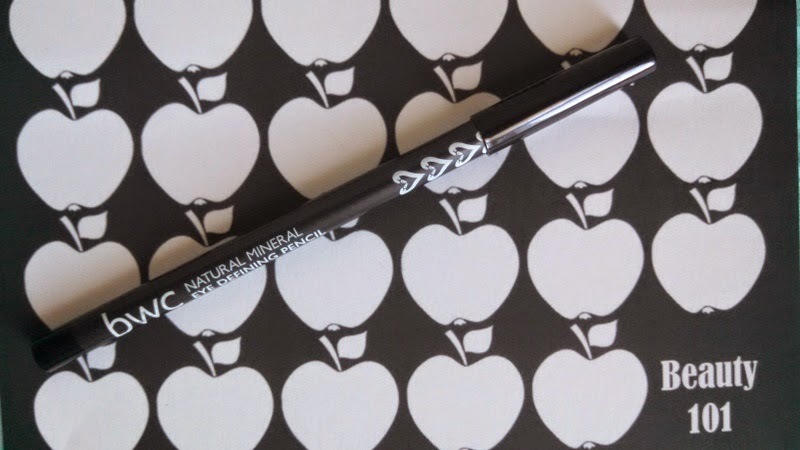 I love this eyeliner by Beauty Without Cruelty. Black eyeliner was a staple of my teenage life. I loved the way it made my eyes pop with intensity. I did on occasion still use eyeliner around the time I got sick. That and a whimsical eye shadow palette were all I had left of my dwindling makeup collection, but I have since thrown them all away. This eyeliner goes on so smooth and looks awesome. The black can be very delicate on my eyelids, but I can make it bold, too, if I want. I’m really into the softer looks, so this is a really appealing item for me. 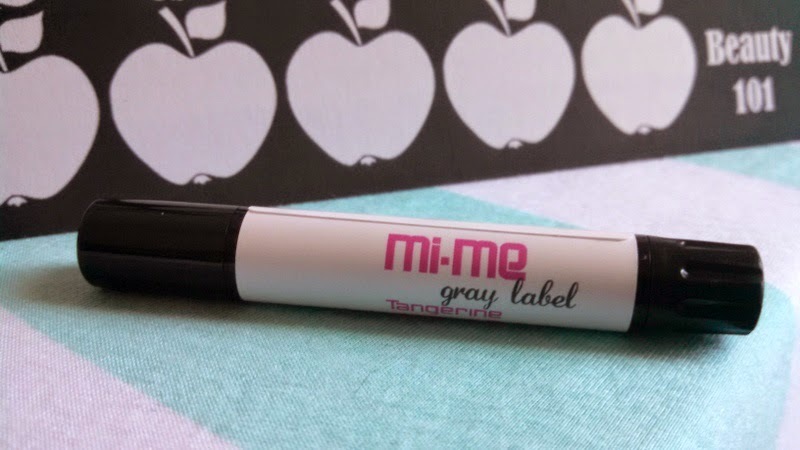 Mi-Me is a brand I’ve seen here and there in bloggy land. Their tangerine lip butter was in the box. The scent of this lip butter is so uplifting and cheery. Let me tell you how excited I was that this was included in this month’s box since I had just run out of my favorite tangerine lip balm. I knew I loved it right away. I could instantly feel it hydrating my lips, and they stayed soft and supple all day even when the product was long gone. And really, isn’t that the point of products like this; to rehydrate our lips so we don’t have to be constantly reapplying? 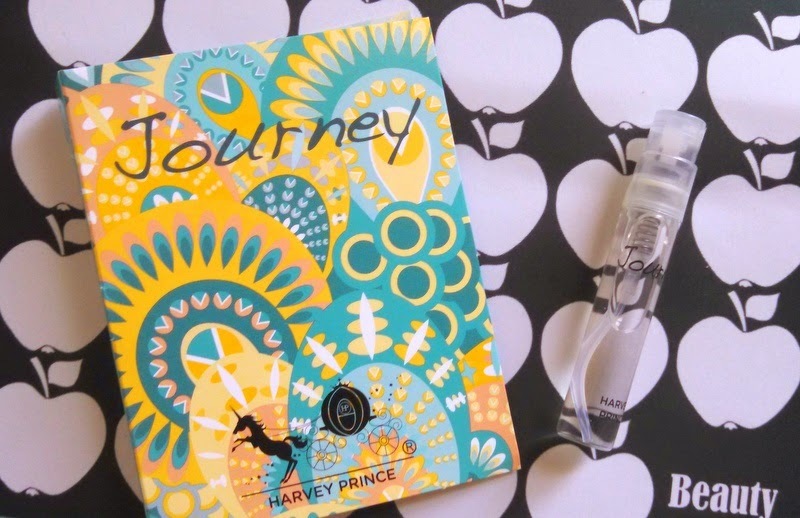 The Journey perfume by Harvey Prince was one thing that I wasn’t too excited about. I could smell it when I opened the box and thought it was just too much for me. I kept an open mind though, and considered that it might smell differently when I spritzed it on. My partner loved how it smelled on me, but I wasn’t quite convinced. I think it may be too “mature” smelling for me. I may still use it for certain occasions or I may gift it to someone who will love it. I’m undecided as of right now. One (massive) positive about this product is that it doesn’t make me feel dizzy and sick the way that people’s synthetic perfumes do. I’m sure that speaks to the quality of the ingredients. 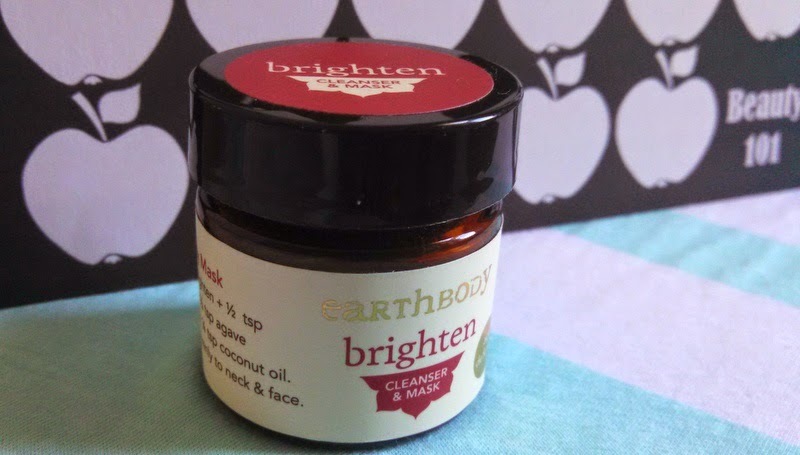 The Earthbody Brighten cleanser and mask caught my interest right away. They included an insert with the ingredient list and description of the product. It’s made of Moroccan lava clay, plant powders, and essential oils were made with Ayurvedic principles in mind. Yes, please! My skin is really loving this mask! 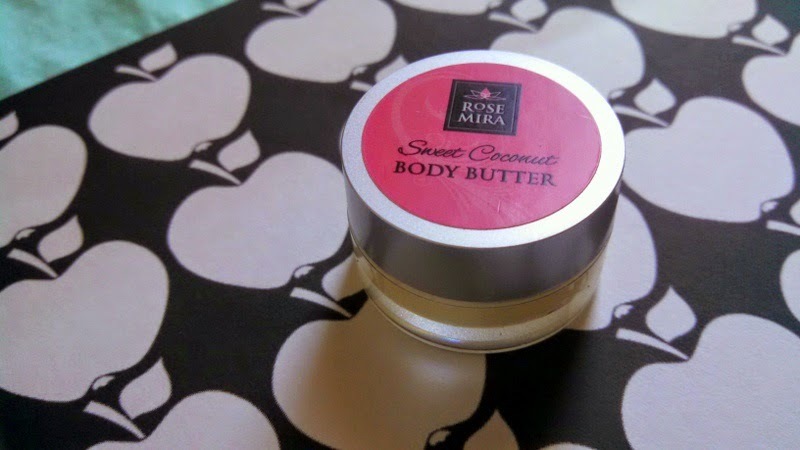 The Rose Mira Organics sweet coconut body butter gives me silky skin and smells like I’m on a tropical vacation. What’s not to love about that? I use a lot of coconut oil to moisturize in the winter, so I knew this would hydrate dry spots on my skin very well. What was different about this vs. using coconut oil alone is that it soaked into my skin much faster and it had a bright fruity scent (the addition of the mango butter, no doubt) that I found really pleasing. Since winter will soon be here, I may have to invest in a full size of this one! All in all, the August Petit Vour box was incredible. I still can’t believe how much value they pack into one $15 box, and by value I don’t mean monetarily but quality-wise. I’m quite happy with these monthly beauty boxes!